Welcome! 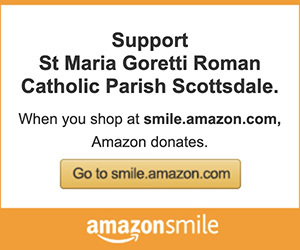 We are the Roman Catholic Parish of St. Maria Goretti, located in Scottsdale, Arizona. Those Catholics regularly attending Mass are asked to register as members of the parish. Religious Education and Formation is an important part of any Catholic parish community. St. Maria Goretti strives to provide exceptional faith formation at any age. We are all called to participate in on-going faith formation! Liturgical ministry is an excellent opportunity to fulfill your baptismal call of service to one another. Our liturgies utilize the talents and gifts that God has given this community to the fullest extent. These ministries are necessary to insure our Masses at St. Maria Goretti are celebrated with full, active, and conscious participation. Our shared life as a parish family goes beyond our normal worship and includes times of fellowship and celebration. Our parish life groups are ministries of service and hospitality. St. Maria Goretti Outreach ministries are committed to serve those less fortunate. These ministries are necessary to insure those in need are served with dignity and compassion. Greetings and Happy Easter Season! We are happy to launch this new website and truly hope that you find it informative and easy to use. As you know, we have become a media-overwhelmed society and so for this new design, we tried to be inviting to the eye and, at the same time, a website that helps you to get the information for which you are looking. Of note at this time of the year is our change to a summer schedule beginning in June, which you will notice in the “Mass Times” tab at the top of the page. Welcome and thank you very much for your visit. Administered on the third Tuesday of each month after the 8:00 am Mass. Also available upon request if you are shut-in or entering the hospital. St. Maria Goretti strives to become more fully a stewardship parish, taking seriously the call to participate in the life of this community. 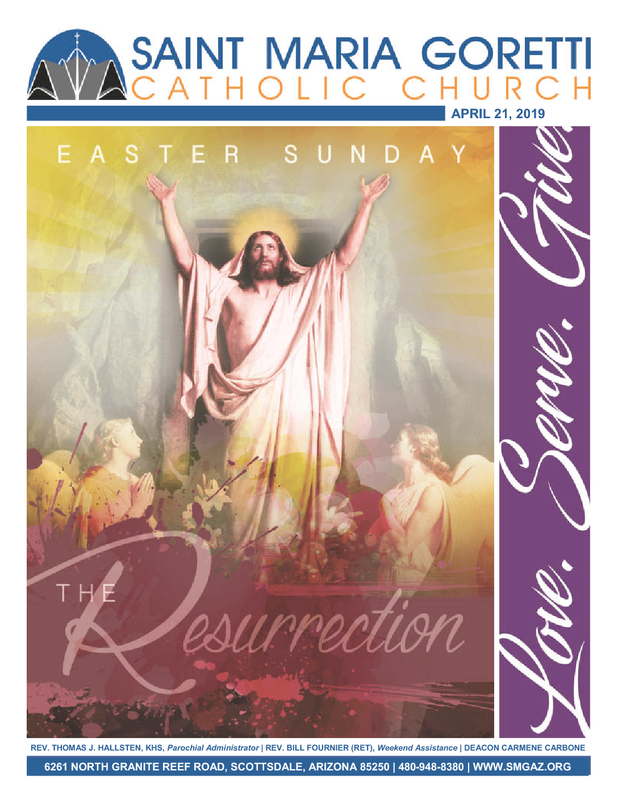 Stay in touch with Parish news & events by downloading the SMG Parish app from your app store.